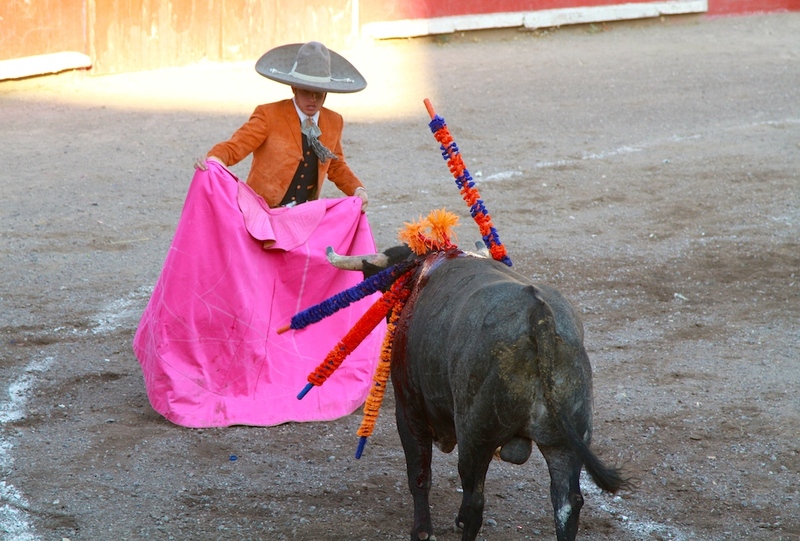 We’re back in San Miguel waiting out some wicked weather and it’s bullfight season once again. You no doubt saw our dispatch on ACL from the last such outing. This occasion was a slightly more amateurish affair, but as always there were some spots of astonishing beauty, which you cannot deny no matter your stance on the actual sport. Enjoy this quick glimpse with the promise of more to come…. This entry was posted in Snap Shot. Bookmark the permalink.